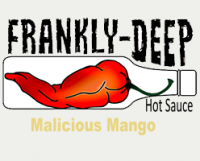 Have you been staring at our product page, trying to decide which of our five delicious hot sauces you should try? Can’t make up your mind? 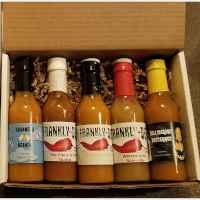 Then try them all with our 5-Bottle Variety Pack! 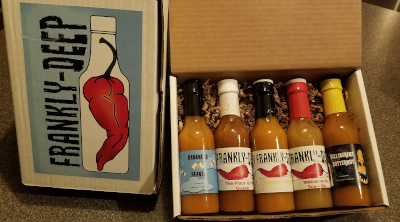 Delivered in an exclusive Frankly-Deep hot sauce box, this variety pack is not something you want to miss! Since this is a special box, it must be shipped separately. Due to this restriction, the shipping cost of $14.99 is included in the price.